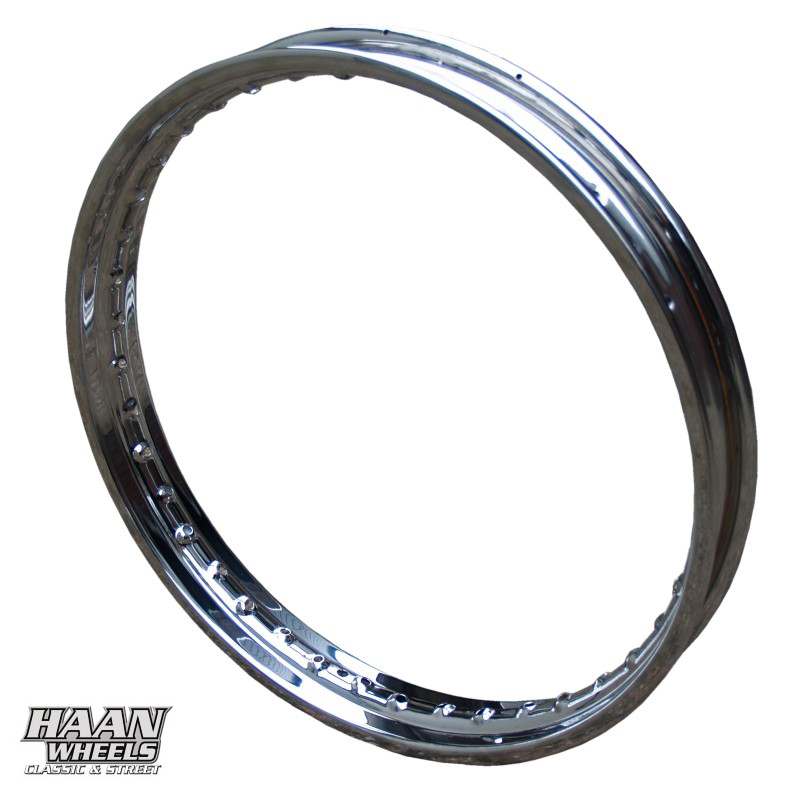 Our Haan Wheels Steel rims are purchased untreated by us. 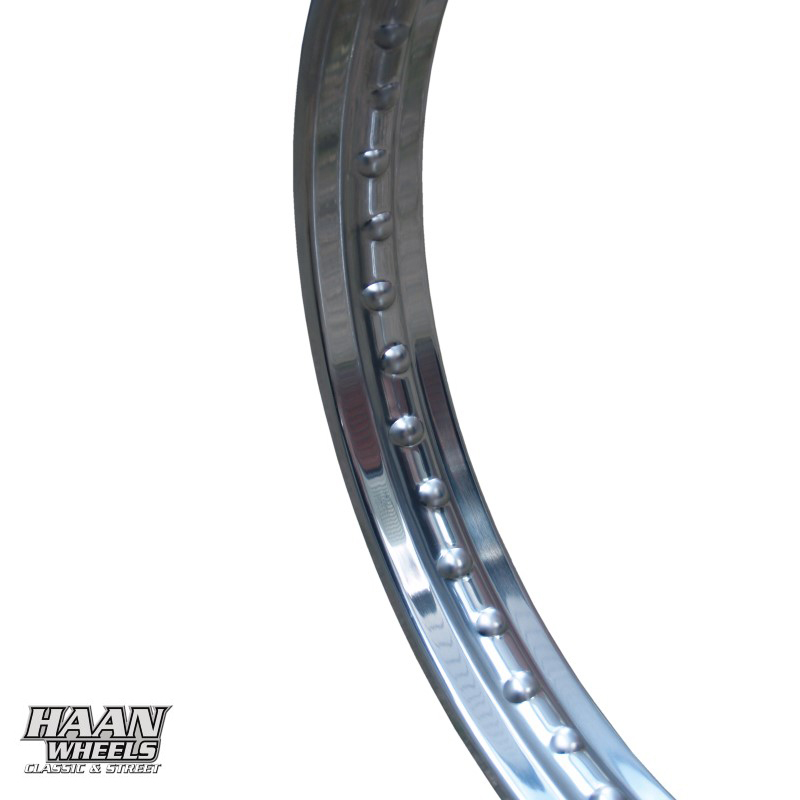 The rims are fitted with spoke holes at the right angle and the chrome process is done in the Netherlands. 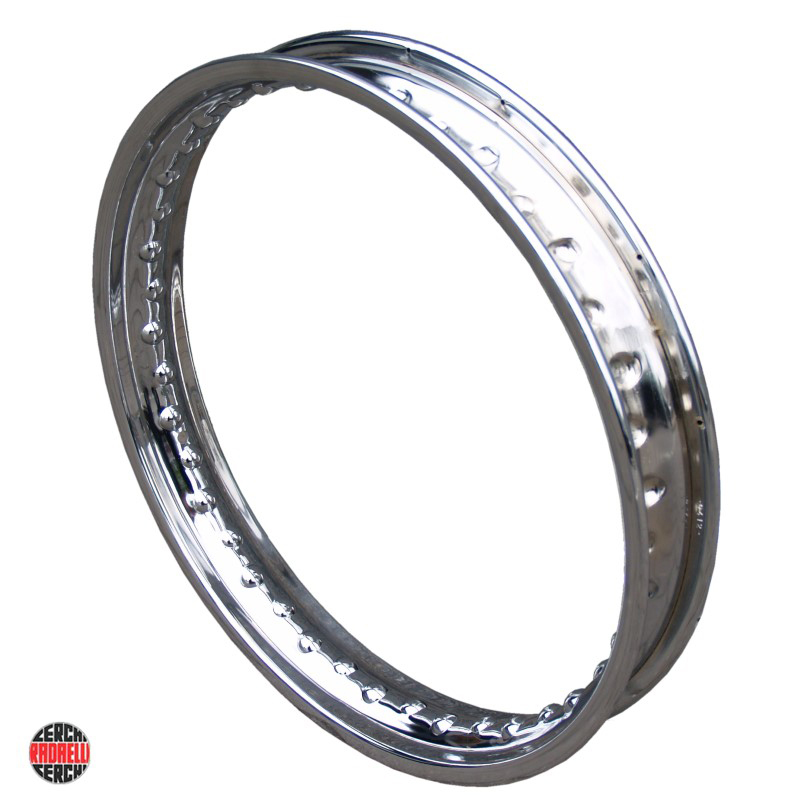 This allows us to deliver a correct rim for your hub made to measure and with a good quality chrome treatment. These are strong and sturdy steel rims. Also available un-chromed in case you want them painted. 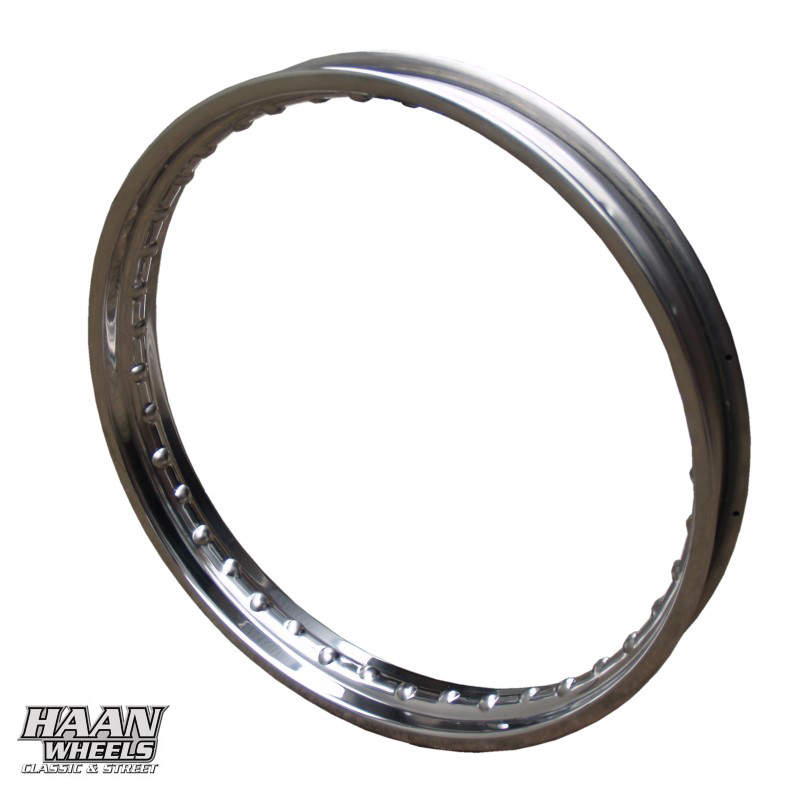 We also stock these rims as non-punched. 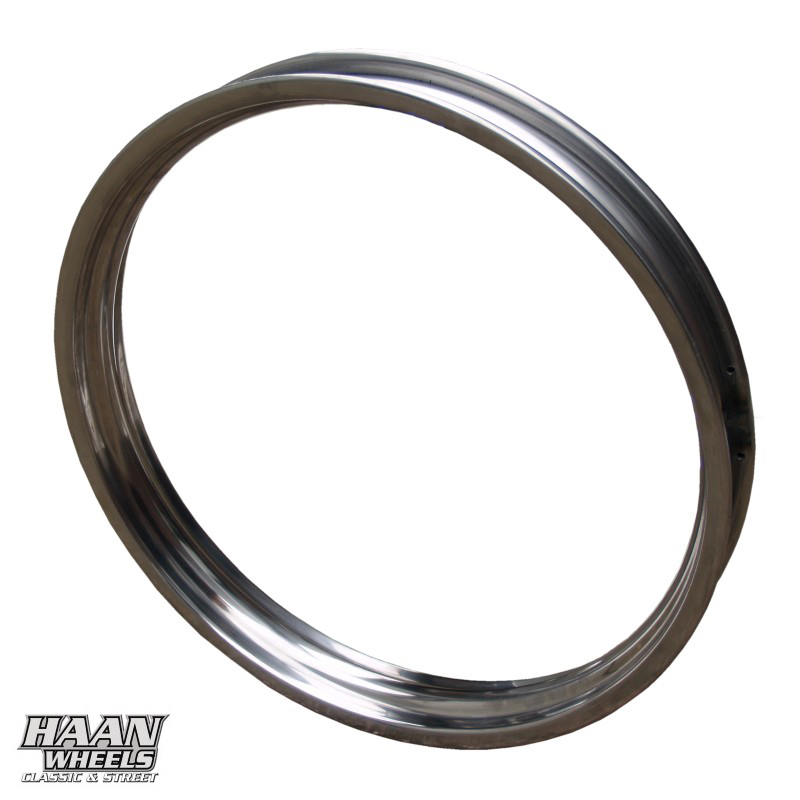 We can supply these rims punched for special models if necessary. Available in most sizes in 36 and 40 spokes. 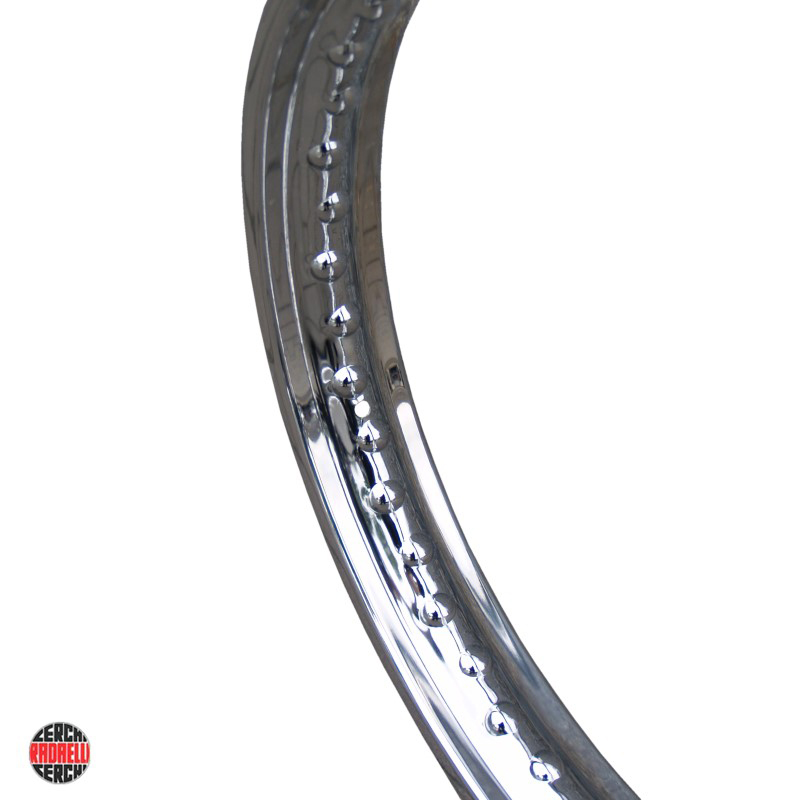 Radealli rims are made in Italy and are used for Italian motorcycles that used to be supplied with this brand’s rims. 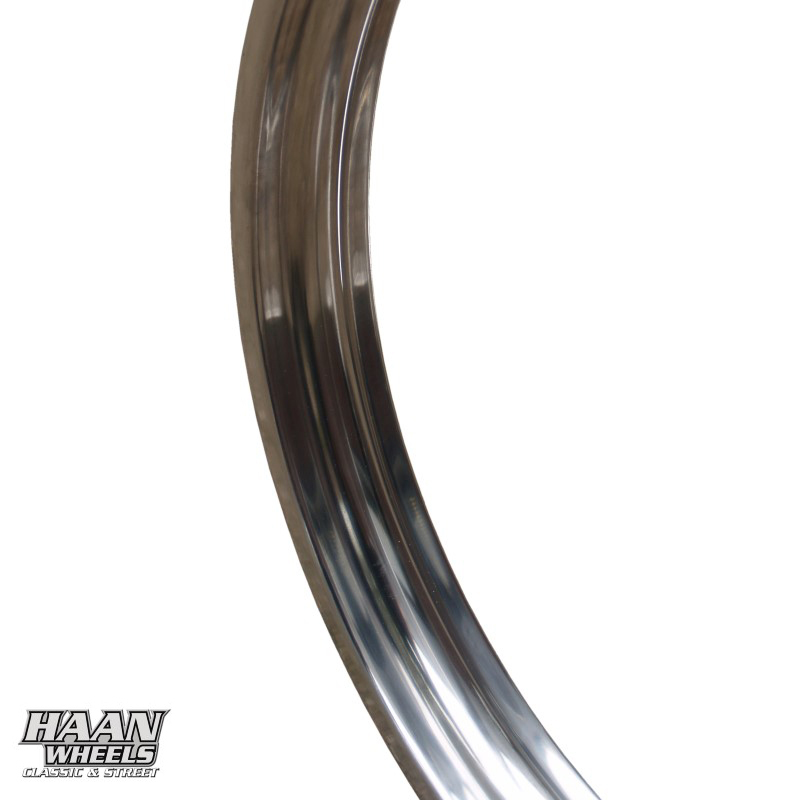 This rim is slightly lighter than the other steel rims we deliver. Available in different sizes with 36 and 40 spokes. Please remember to always send your wheels without tyres. 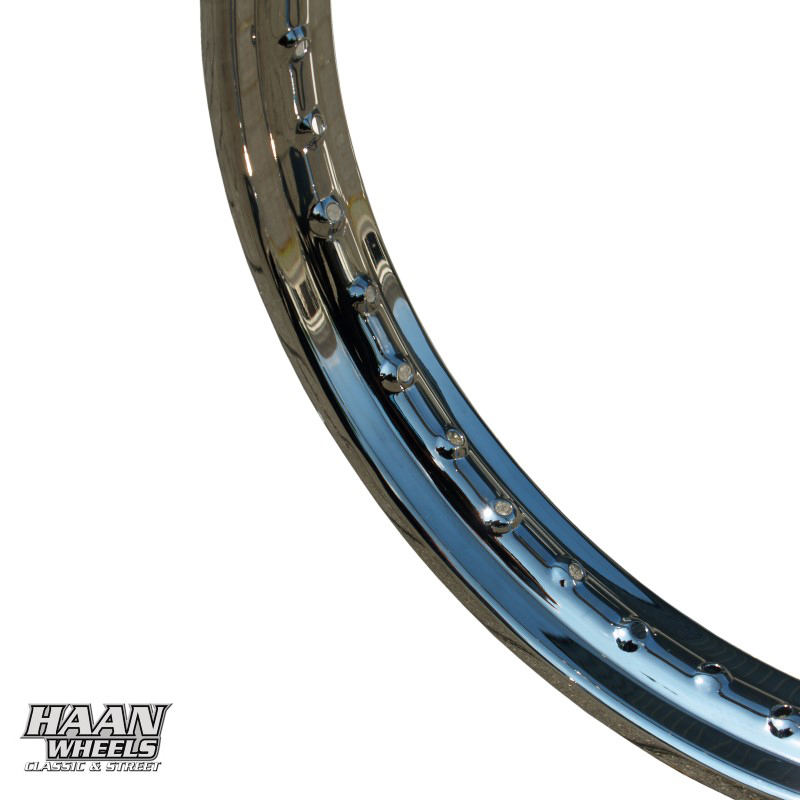 Thank you, Haan Wheels.